Hulk (2003) – What's New on Netflix Canada Today! 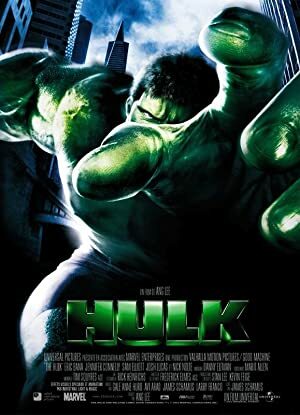 Bruce Banner, a brilliant scientist with a cloudy past about his family, is involved in an accident in his laboratory causing him to become exposed to gamma radiation and Nanomeds (a tiny life form that is supposed to heal wounds, but has killed everything with which they have made contact). Confused and curious about his survival, Banner discovers that since the accident, whenever he becomes angry, he transforms into a giant green monster destroying everything in sight in an act of rage. Bruce’s mysterious past and the answer to why the radiation had this effect becomes revealed to him as his birth father David Banner intervenes with hopes to continue experimenting on him.